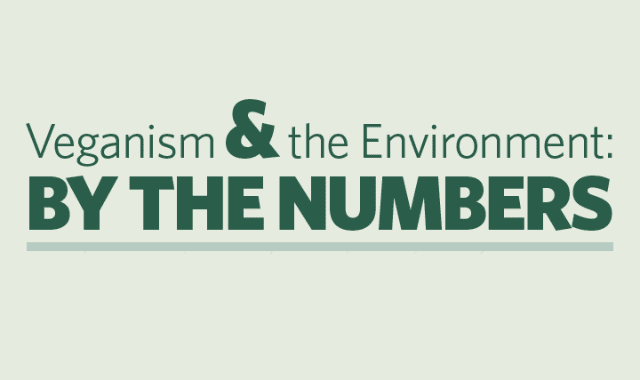 Veganism & The Environment: by the numbers #Infographic ~ Visualistan '+g+"
If one person exchanges a "regular" car for a hybrid, they'll reduce carbon dioxide emissions by 1 ton per year. If one person exchanges eating meat for a vegan diet, they'll reduce carbon dioxide emissions by 1.5 tons per year. If every American dropped one serving of chicken per week from their diet, it would save the same amount of CO2 emissions as taking 500,000 cars off the road. Check out the infographic below for more facts.